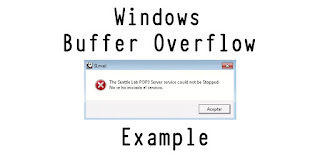 I’m learning these days how to exploit Buffer Overflow Vulnerabilities and how to find this kind of vulnerabilities. 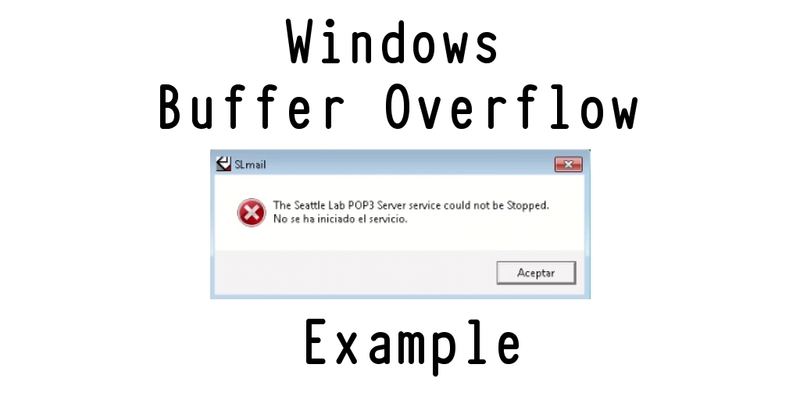 I think the best way to learn about Buffer Overflow is exploiting these vulnerabilities in a laboratory by ourself. Therefore, I’ve installed a vulnerable server in a Windows machine along with Immunity Debugger and Mona tools. I’ve also installed a Kali Linux machine, which has been the attacker machine. This is the laboratory I’ve deployed to test a simple buffer overflow vulnerability that you can check in the next video. Firstly, I've scanned the vulnerable server with the Nmap tool to know whether POP3 service is open. I’ve also tested a simple script to send 3000 ‘A’s to the vulnerable server. We can see the program crashes and ESP registry contains many ‘A’s or ‘41’ in hex. However, we have to find the specific EIP memory location thus I’ve created a unique string which is sent to the vulnerable server through the malicious script. Once I’ve controlled the EIP registry, we have to know which bytes cause problems within the vulnerable server such as truncation with bad characters \x00\x0a\x0d. The next challenge is to locate a JMP ESP instruction into the memory to insert it into the EIP register. Finally, I’ve created a payload with the msfvenom tool to add it into the script, which give us a Windows reverse shell. Regards my friends. This has been an amazing demo to know how Buffer Overflow works. I recommend you do it by yourself.